Warhammer 40K | Miniature armies, huge time sink. For various reasons (mostly burnout and time), I haven’t been the most active on the hobby front. Especially not near what I was in the beginning of 2013. Deathwing up in da Space Hiz-ulk! This is actually a month or two old, but I thought I’d share it anyway. 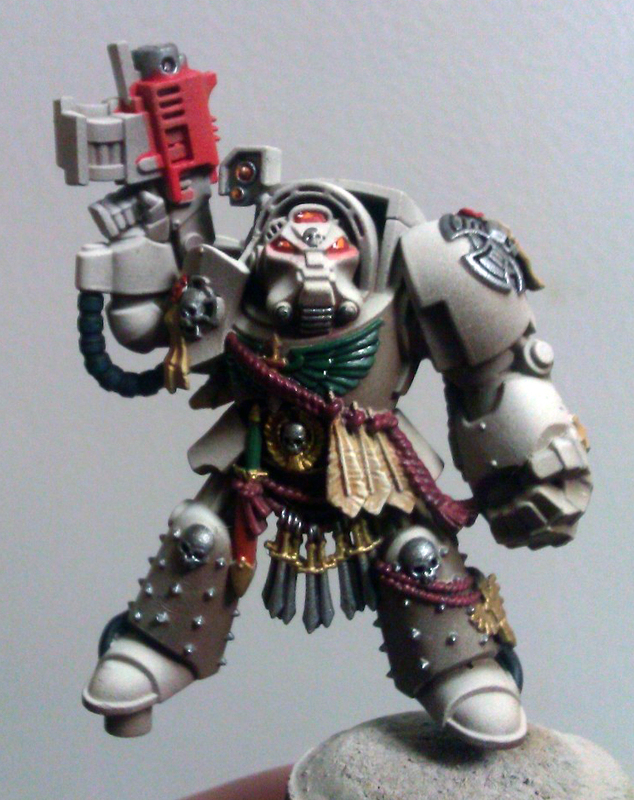 As revealed in this post, I’ve started on a Dark Angels Deathwing force for Warhammer 40K. While the desire to play that game pretty much evaporated lately as our league season has kicked back into gear, I still have the models that I like and they are all already basecoated (basically 10 terms and stuff to make a Beliel). It didn’t seem like much to get them painted up and to give me a break from the assorted Warmachine stuff on my painting table. There is just now no rush to get them done. What do you all think? What can I do to make him better? Nope, I’m not jumping ship. Now that that’s out of the way, I wanted to start showing you a side project I am going to be be working on soon. I’ve noted before that I’ve been a fan of the grimdark for awhile now, but I’ve never wanted to get any of the models, much less field an army…until now. I’ve alluded to this project in my last post, as it seems my love for the thematic and sci-fi have finally come to a head with the thought of doing a Dark Angels Deathwing force. For those unfamiliar with the Deathwing, they are the First Company of the Dark Angels space marine chapter. 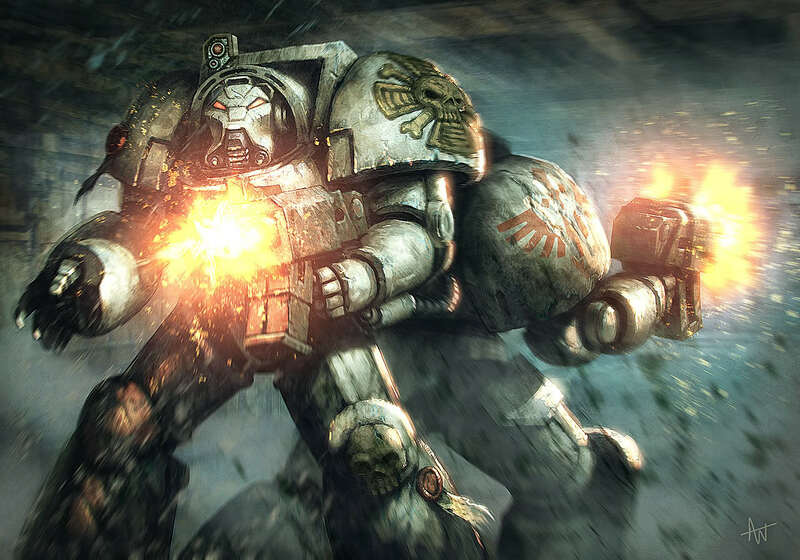 What makes them special from other space marine chapters is that their First Company is comprised entirely of [awesome] Terminator suits of armor. The also sport a nifty bone-white scheme compared to the dark green of the rest of the chapter. Being able to field an armor of nothing but Terminators is seriously appealing to me. Don’t really know how it plays on the table top, but the visual is enough for me. Plus having an elite army of only like 10-20 models sounds kinda cool to me too. Today I’m going to show you one of the Terminators I’ve started and the various stages of airbrushing I’ve done to him thus far.